Why Do Temporary Residents Need A Medical Examination? You have moved to Canada with the hope of a better future, improved living condition, and great work opportunities. You have been able to achieve these dreams. However, if you take a look back, you will notice that the path of immigrating to Canada hasn’t been very smooth for you. The IRCC is very strict about their immigration policies. As a result, while submitting your immigration application, you were required to go through a series of CIC medical with a panel physician Toronto. After all, medical examination forms a part of the immigration process. Without medical examination, the government of Canada doesn’t allow any immigrant to come to Canada. 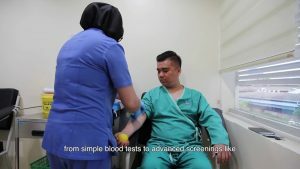 The Canadian government in order to protect the health of the Canadian citizens, asks the temporary resident applicants to go for medical exams. Basically, the country wants to keep their citizens safe from diseases. 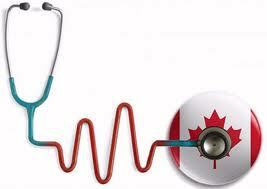 Moreover, it tries to reduce the demand for Canada’s health and social service system by the residents of Canada. Unlike permanent resident applications; temporary resident applicants, such as foreign workers, visitors, and students will require a CIC medical examination with a certified panel physician Toronto. In case visitor plans to stay in Canada for less than six months, they won’t need any medical examination. However, those who are going to work in the public health sector for less than six months will need to go through medical tests. The immigrant has lived temporarily for more than six months in one of the countries, such as Armenia, Afghanistan, Algeria, Yemen, Zambia, and more. The immigrant comes to Canada in order to work in occupations like public health. Applying for a parent and a grandparent visa. The list goes on. However, agricultural workers from some specific countries will need to go through a thorough medical examination. Why Is Medical Examination Needed? Temporary residents before entering Canada should go through CIC medical examination. This is done so that an immigrant with any serious medical conditions doesn’t enter the country. Some medical conditions can be life threatening and if the person enters the country undetected, it can wreak havoc. So for protecting the citizens of the country, a medical examination is important. In order to carry out the medical examination, a certain panel of physicians will carry out medical exams. The examinations which are usually carried out include chest x-ray, laboratory tests, and physical examination. Immigrants should complete their CIC medical exam within 30 days of getting the notice from the visa office with a panel physician Toronto. The immigration office will finally decide who can immigrate to Canada and settle in Canada. Caring Beyond offers peer support to parents who have lost a baby due to miscarriage, ectopic pregnancy, stillbirth, neonatal death and termination due to poor prenatal diagnosis. We believe all losses to be equal regardless of circumstance or gestation. All of these babies were loved and wanted. We also provide information on various medical treatments and processes!